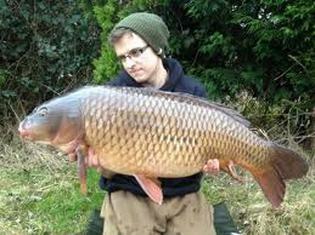 What made you get into carp fishing? 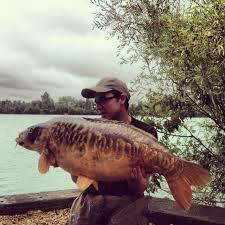 Carp fishing just sort of came as a natural progression for me. My angling started as it did for many people, fishing with maggots for bites from anything that came along before evolving into match fishing. I then made the fatal mistake of tagging along with a carp angling buddy of mine and he had a spare rod, reel and bite alarm. From the second that the alarm screamed off I knew that this was what I wanted to do regardless of how big the carp turned out to be. It spun the needle to 15.08 and as they say a carp angler was born! If you had to pick one style of carp fishing to fish for ever what would it be and why? My answer would have to be the same as most others I guess, catching them at close quarters. Stalking is without doubt the most exhilarating thing you can do with a carp rod. It’s made even better when you can actually see your chosen quarry and watch it panic when it picks up your hookbait before inevitably bolting! What’s your fondest memory of fishing? That is a really tough question and to pick one memory from over 20 years of angling is nigh on impossible! However you’ve asked the question so I want to supply an answer of sorts! When I first started fishing a lot of my time was spent with my still best mate Terry Barwick. He was a constant source of amusement and being a bit younger than me I was often the taxi driver. 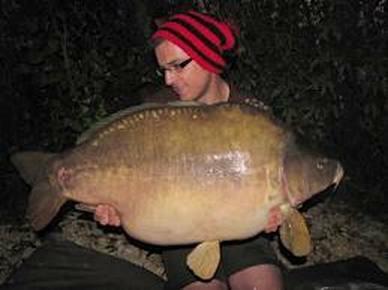 I remember setting up at Totham pit on a few fish feeling really confident to find out that he’d forgotten his bivvy. An hour round trip to get it for him to then cast out in the dark and blank didn’t seem fun at the time but looking back was priceless. I’ve watched him run into the canal fully clothed when he misjudged the direction of the path! However the fondest was watching him purchase his first whistling kettle. I was always the one that cooked us food, made the tea, did the driving and just generally played Mum. However hearing the pride in his voice when after setting up at Totham Pit he said ‘you wanna cuppa spoons’ was nothing short of magical. I obviously accepted said offer and after 10 minutes simply enquired where my brew was, he shouted back (he was the next swim down) that it was just coming. 10 minutes later and still no tea so once again I asked the question and got a slightly disgruntled ‘in a minute’. A few minutes later I heard him giggling so had to go and see what was going on. There in the swim sat his brand new kettle with a massive hole in the side that he had used a penknife to create! I asked him what the **** had happened and he said ‘it’s not my fault the poxy lid has got stuck so I couldn’t get the water out’. I made matters worse my taking his spoon and gently levering the lid off and wandered back to my swim to put the kettle on! That was probably 13 years ago and I’m pretty sure he still hasn’t made me a brew. Sorry it’s not fishing related but being able to enjoy my hobby with a proper mate is easily my best memory! If you only had one rig and one bait to use forever what would they be? Bait choice is particularly easy, Mainline Cell. The bait is instant and any carp in the world will eat it! Rig wise will see lots of people frowning due the rigs’ popularity/hatred. It seems to divide the nation but most anglers have probably used it. It would have to be the Naked Chod. 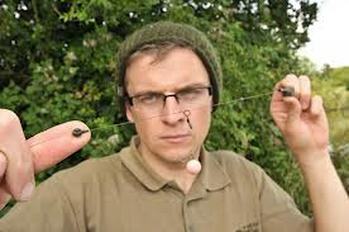 If you have a rig that can be cast almost anywhere and give you good presentation then that’s what I would choose. There is obviously far more to the mechanics than lobbing it anywhere but in the right hands it really is deadly and has accounted for a large number of carp for me, especially over the last few years. If you could get rid of one element of carp fishing what would it be and why? Elitism! It really bugs me when I see people getting slated for what they’ve caught just because it doesn’t come from the right area or its not 50 years old! Live and let live has always been my motto. There are far more important things going on to worry about instead of berating somebody for catching a simmo! With a no doubt busy show period starting are you looking forward to spring arriving and what are your targets for next year? Yep as I write this I have just finished the show at Sandown and getting prepared for Manchester at the weekend. My late winter/early spring target will once again be the Linear from Star Lane but I have a new ticket starting in April that will see me moving to pastures new. It’s a well-known water that’s famous for producing large carp so I’m gagging to wet a line over there! If you had to pick one korda product that you could never leave home without what would it be? Nothing to do with fishing, Devoted Family Man! If you had one piece of advice to give to our followers would it be? Work as hard as you possibly can in everything you do.